Content marketing can give your company a competitive edge to grow your business. Share articles, white papers, or reports to position your company as an expert. Use case studies to demonstrate how you deliver value to clients. Disseminate press releases to keep your target audience informed of your latest advances. By giving you the opportunity to publish your content on the GreenBook website, the GreenBook Content Marketing Program can help you with all of the above and more. Eligibility to participate comes with the inclusion of the Website Marketing Package listing enhancement in your company profile in the GreenBook Directory. There’s no additional charge. Showcase your expertise in specific areas of market research. 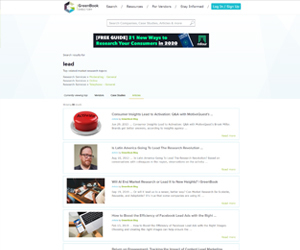 Increase your advertising exposure with articles appearing in search results on GreenBook.org. Newly published articles are listed in Recent Articles feeds and shared with GreenBook’s 7,500 followers on Twitter. Add richness and credibility to your company profile in the directory. Strengthen your SEO - each article links back to your company listing and to your website. Build brand awareness by sharing content on a continual basis. Press releases are also listed in a RECENT PRESS RELEASES feed on the Articles page and on the GreenBook Blog. If articles, press releases, etc. have already been posted online on your website, you may not want to re-publish them on GreenBook.org. Instead, simply reference an article in your company profile without submitting the entire document. The article is included in your company profile and on relevant market research specialty pages, linking directly to your website, generating extra visibility and traffic. If your company has a blog, stream posts automatically into your company profile. Titles and short abstracts of your three most recent posts will display in a dedicated section on your listing page and will link directly to your blog. 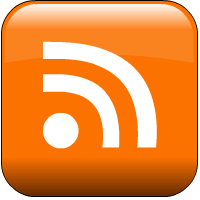 To activate this service, all you need to do is to send us the URL of your blog’s RSS feed. Participation in the Content Marketing Program is complimentary for companies listed in the GreenBook Directory with the Website Marketing Package listing enhancement included in their company profile. 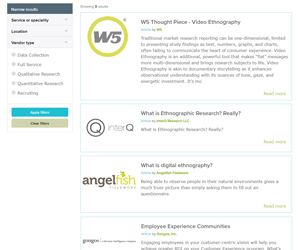 We accept all types of content relevant to market research methodologies, objectives, insights, best practices and more. All content is subject to editorial review. We recommend that your content addresses challenges and needs of market research professionals without being overly self-promotional. Content marketing works best when real value is offered to readers by sharing content that is practical, helpful, insightful, and useful. Articles longer than 2000 words may not be published in full. 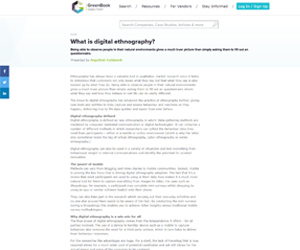 We will attempt to preserve any formatting, images and charts included in your content. GreenBook reserves the right to promote content published on GreenBook.org through social media, by email, or other online media channels. Authors / owners are always credited appropriately. Copyright is retained by the author, not by GreenBook. By sending us content you acknowledge that you have the rights to it and to any images or other media included with your submission. Choosing to publish content through the GreenBook Content Marketing Program constitutes acceptance of these guidelines. Please send us your content by email and we’ll take care of the rest. It usually takes about one week to publish your content and we let you know when it’s posted live. MS Word documents are preferred, PDFs are accepted. articles@greenbook.org . Have questions? Call 1 (212) 849-2752.